RAPID CITY, S.D. - Rapid City Post 22 rolled to an easy win over Westco in American Legion baseball Tuesday night. The Hardhats scored four runs in the first inning, one run in the second, two in third and three more in the fourth to take a 10-2 win. Post 22 is now 38-8 on the season and will play in the 96-team Gopher Classic in Minnesota beginning Friday. Meanwhile, Rapid City Post 320 split a double-header with Casper Tuesday. Post 320 took the first game 12-2, but struggled offensively in the second, lsoing 7-1. In the win, Eric Gonzalez led the way with three hits and four R.B.I.'s. 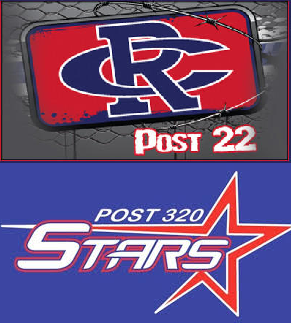 The Stars will also join Post 22 in Minnesota this weekend for the Gopher Classic.